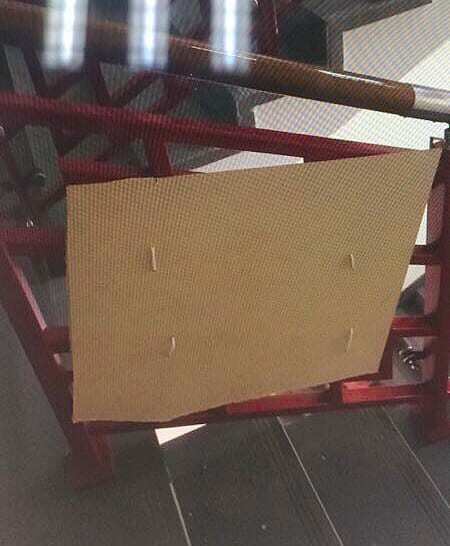 Due to the broken glass on the stairs at PAC 2nd floor next to lift corridor, we took down all broken glass pieces and fixed a board there temporary. Please keep away for safety. 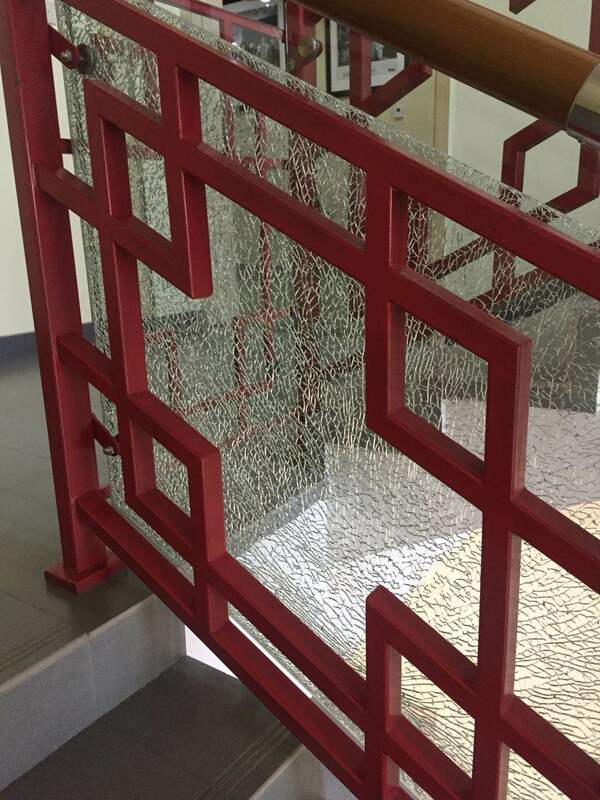 Will fix it as soon as the new piece of glass arrive. Picture attached for details. Please remember to pick up your payment slips for the courses you are enrolled in. The course fee needs to be paid before the activity starts. Click on the link above to see which activities will be available. Kasson will be the MOD of Sept. 15, 2018. EE & PP Support – Every Thursday 3:15 – 4:15 PM in the NIS Library. Use this time to ask for advice, conduct research or simply as a quiet space to focus. PTA is giving out Birthday Cupcakes Today, Wednesday, at morning break, in the foyer in front of the Library. Happy Birthday all September Babies! 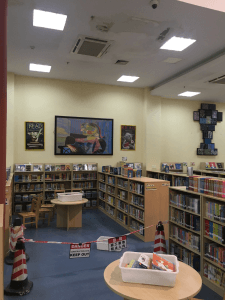 The parts of Junior Fiction and Junior Non Fiction in library were enclosed with signs and tapes because of Air Conditioner leaking in the ceiling. We took apart the broken props which caused leaking after checking, and will fix it as soon as the new filter connector arrive. Please see attached picture for exact location.